AMES, Iowa – Over two years ago, the Iowa Department of Transportation Director, Paul Trombino, brought forth a focus in traffic operations to an organization that was primarily focused on infrastructure issues. 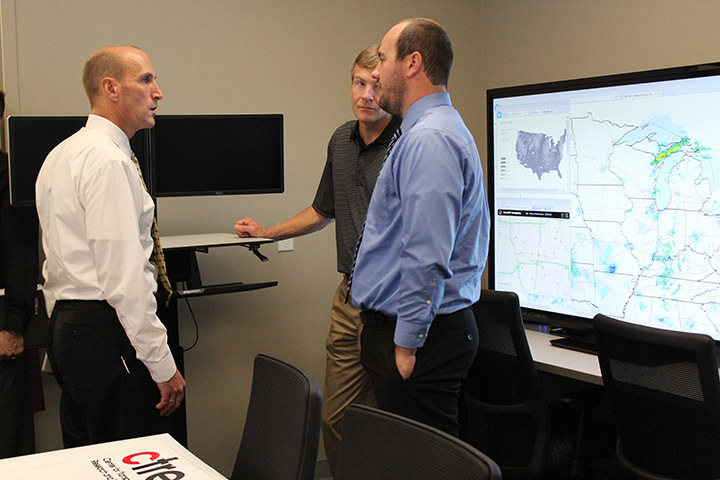 In partnership with the Institute for Transportation (InTrans) at Iowa State University (ISU), a goal was set to establish a traffic operations laboratory which would serve as a focal point for engaging faculty, staff, and students in operations research and innovation. 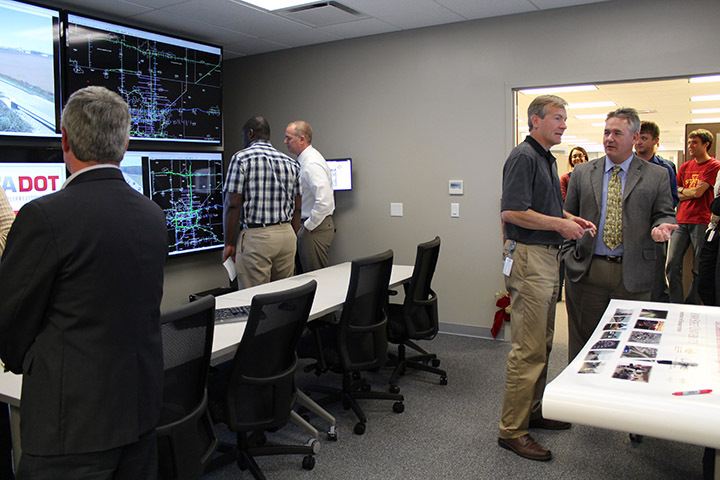 From concept to reality– A ribbon cutting ceremony was held on October 15, 2014 at the new Traffic Operations Laboratory that is housed within InTrans. Attendees represented the three major support groups including InTrans (specifically, the Center for Transportation Research and Education, or CTRE), the Iowa DOT, and the Department of Civil, Construction, and Environmental Engineering (CCEE) at ISU. 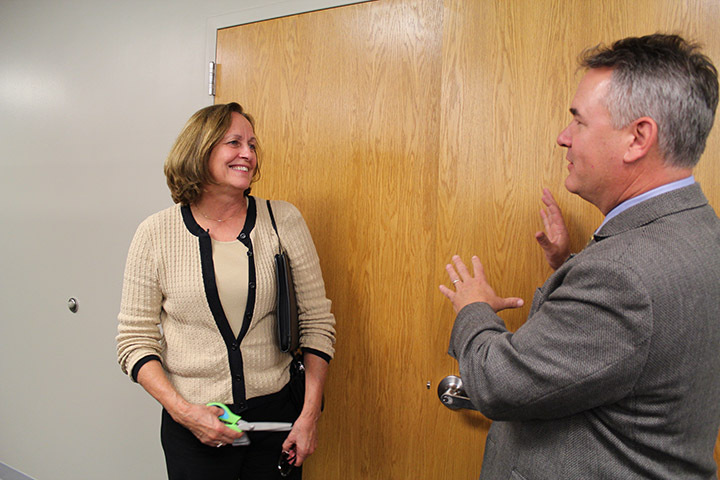 Office of Traffic Operations Director, John Corbin, called the Traffic Operations Laboratory, “A doorway into a fusion of those environments—a fused environment for innovation.” This joint enterprise is centered on support, teaching, and research. 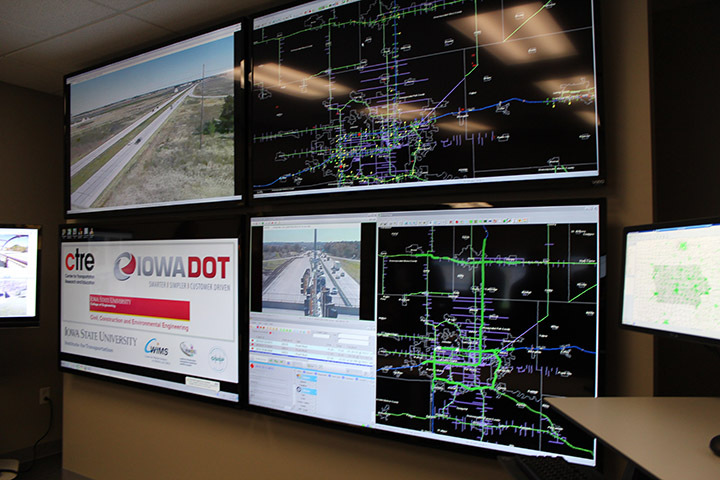 The Iowa DOT’s capability to benefit from interdisciplinary scholarship and research will be enhanced by the existence of an independent operations laboratory at CTRE. Working with the Iowa DOT’s Office of Traffic Operations, this unit will facilitate faculty and staff research for operations support. CTRE Director, Neal Hawkins, said that this offers a unique opportunity to explore and conduct interdisciplinary studies that extend beyond the boundaries of traditional research. And as both a teaching and research laboratory, the lab functions will continually transform to meet the needs of the DOT as well as faculty, staff, and students. In addition, the laboratory provides faculty the opportunity to teach a graduate-level classes in traffic operations while allowing students to be exposed to real-time operations data. 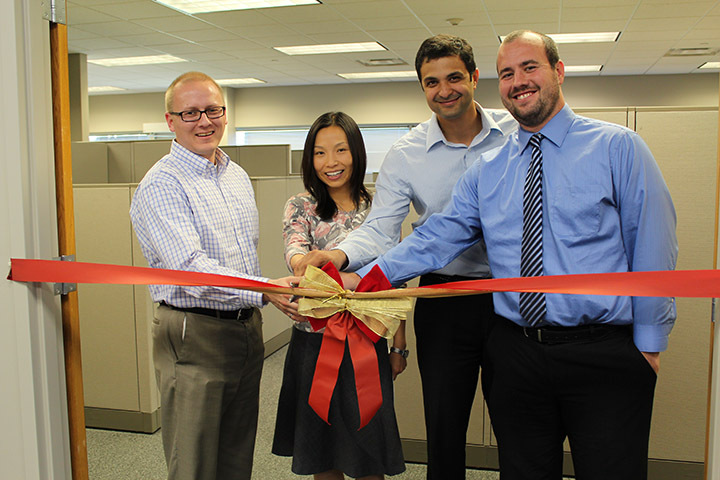 The ceremony also included a chance to meet three of the new CCEE transportation faculty members – Anuj Sharma, Jing Dong, and Peter Savolainen.